This Charles Smiley Presents release features a cornucopia of SP by the Bay. Maybe you are expecting only passenger trains. This program offers much more. For those who have seen the original tape version, there is additional film on the DVD. The first part of the show does have the extended Fairbanks Morse Trainmaster coverage. The commuter operation history and updated to contemporary Cal Train service. 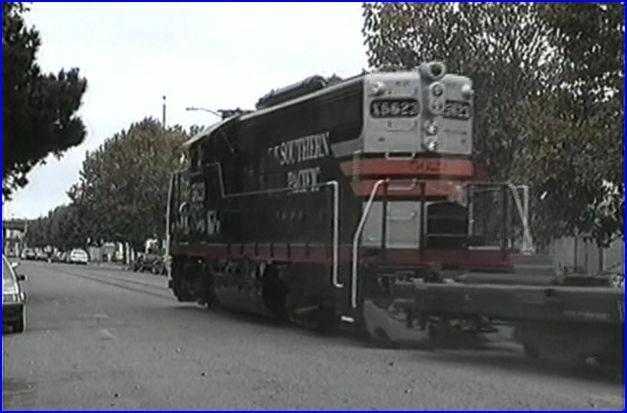 Southern Pacific and San Fran- Oakland area trolleys are two specialties of Charles Smiley. The series contains, definitive works on both subjects. 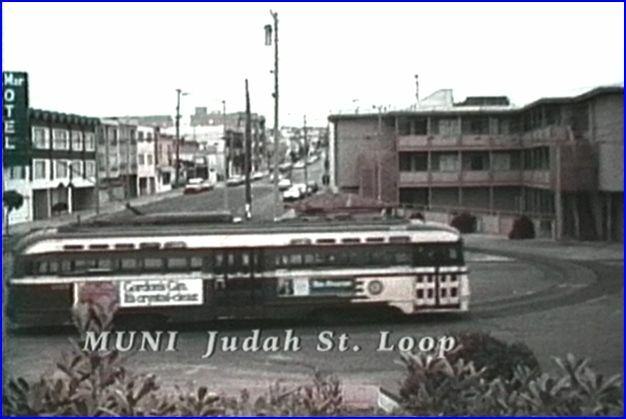 A brief overview of the local trolley system includes: Muni, Key System, Sacramento Northern, and more. 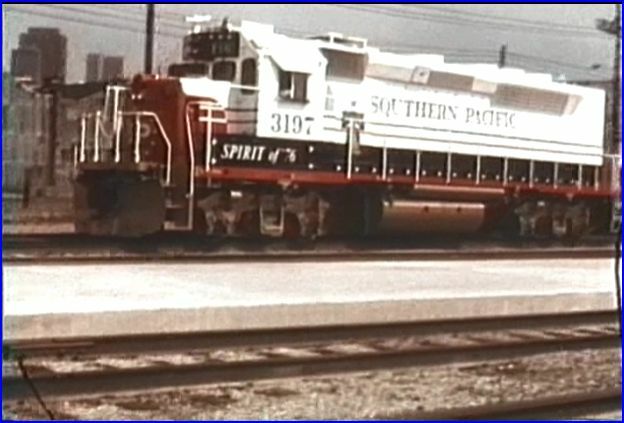 Oakland Terminal appears with a restored GP9! Many other subjects are covered. Ferry boats, train stations and local freights are a few. Like locomotive variety? Old school trainwatching, from an interesting diesel era. Many types from: Fairbanks Morse, EMD and Alco. Nice extended coverage of diesel switchers. These small locomotives are welcome. They are an often neglected subject. 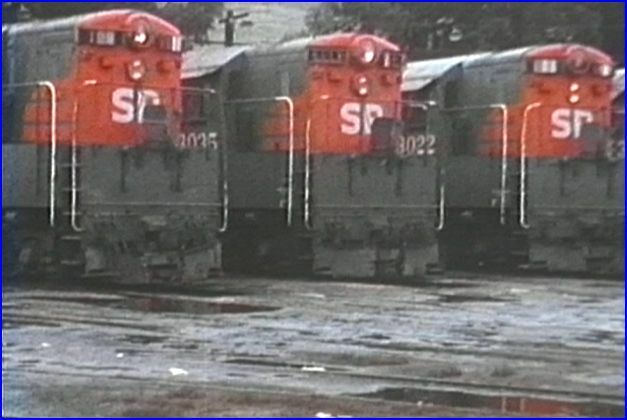 Electromotive, Alco, and Fairbanks Morse engines are seen. The narrative provides good info, that puts these locos in perspective. 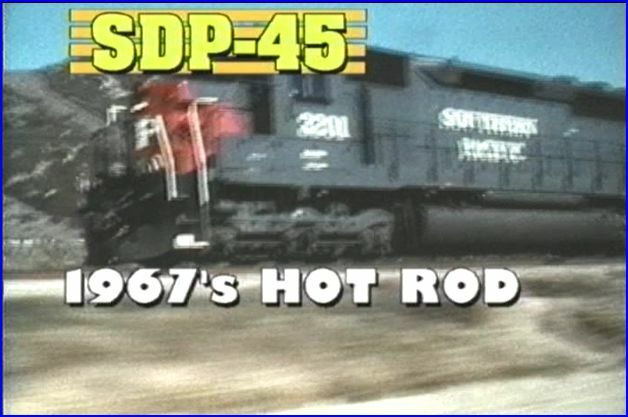 Auto enthusiasts will appreciate the SP Hot Rod Locomotives. 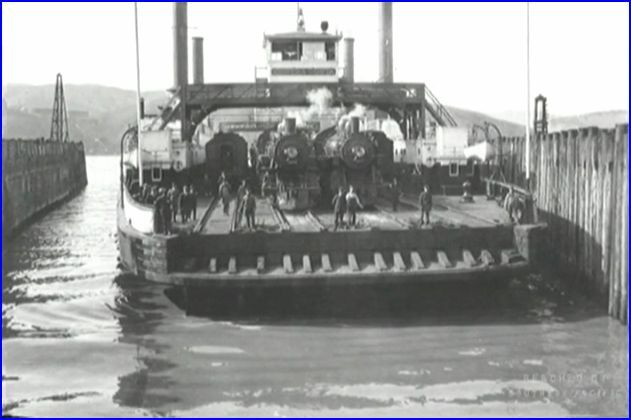 The high horsepower locomotives shown, can indeed be considered as hot rods. Naturally, as we expect from CSP, extensive coverage of the big units too. 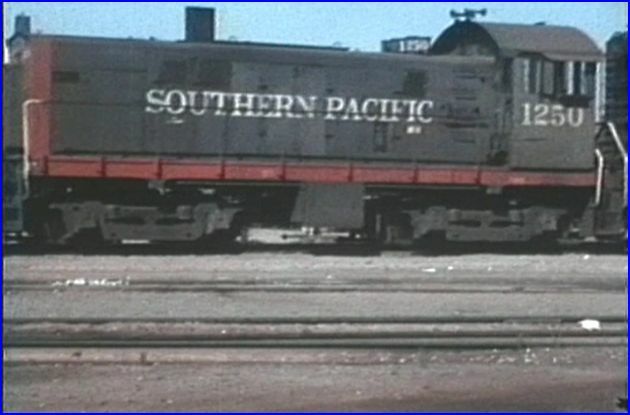 Specialty power such as:GP40P, SDP45 and SD45X are reviewed. 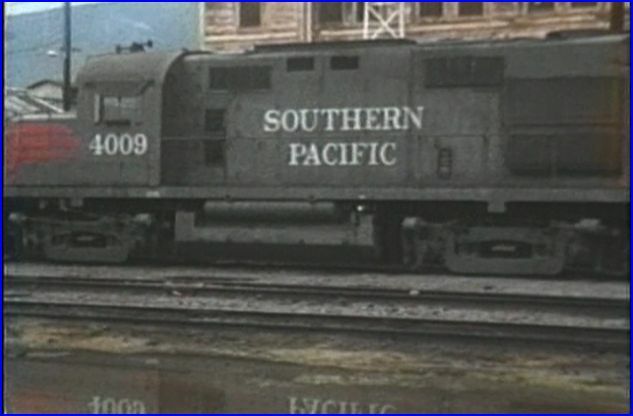 GP9’s and F7 units are another facet of the story. Alco RS32 locomotives are another rarity. Fairbanks Morse Trainmasters are here… in force! There are numerous scenes of the larger than life, 1950’s engines. Shown in service right up to retirement. The detailed explanation of the unique opposed piston engine is illustrated and complete. Notice how Charles has a history lesson of FM within the discussion. Viewers will learn much history on a variety of subjects within this show. Maps are a great extra on all CSP programs. 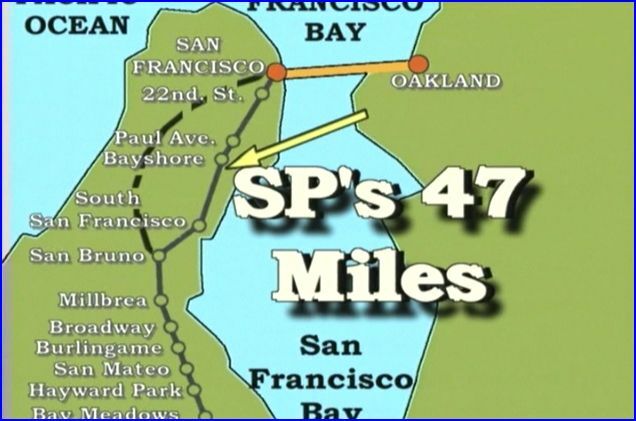 Stations are highlighted on a progression from San Jose to San Francisco is one set. Maps are custom made for each release. They are plentiful and frequently referenced. Charles packs many extras into his shows. Audio tracks are of a very high quality. These are original sound recordings. They are synced to the action. The live audio experience really brings the scenes to life. Various music pieces back some brief segments of still photos. The photos augment the storytelling. Some of these date to the 1800’s. 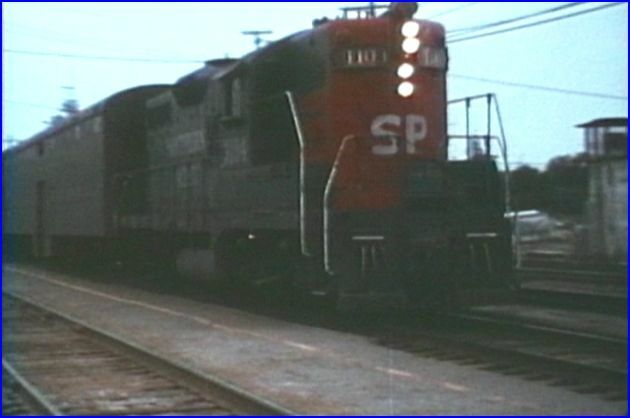 Early Amtrak includes F units and original SDP40 power. The second half of this show features much freight action. Locals are the story. 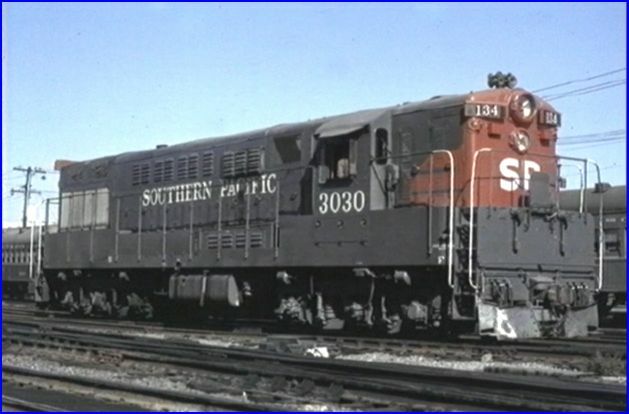 Additional railroads include: Santa Fe, Western Pacific and Rio Grande locomotives. A restored GP9 in the famed SP Black Widow paint scheme is another great feature. Owner Robert Wise gives a tour of this beautifully restored classic. Used in freight service on Oakland Terminal, the cab ride is super! If you are new to Charles Smiley and desire an overview of SP and trolleys in a single show, this is your ticket! 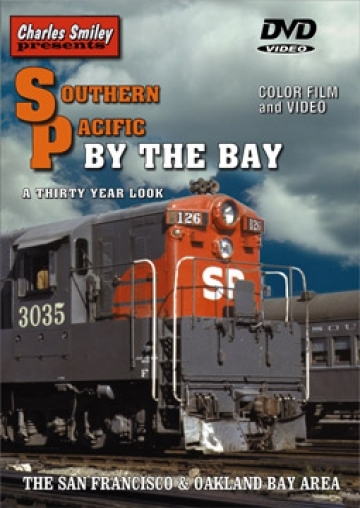 Railfans and model railroaders will find much to enjoy. There are many surprises within this excellent program. 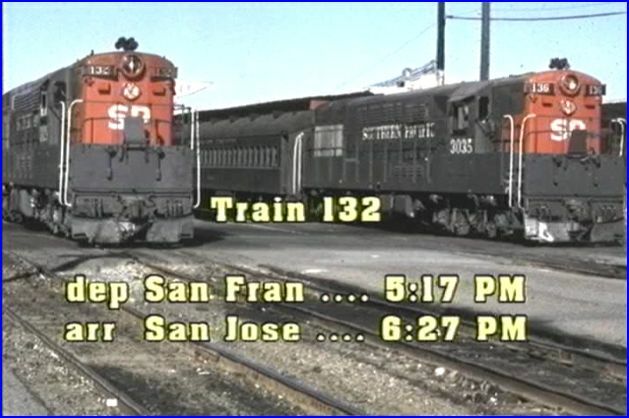 This entry was posted in ATVR Reviews, Charles Smiley Presents and tagged American Train Video Reviews, California, PBS style, Railroad, Southern Pacific, Train DVD, trolley, Western Pacific by William J. Hudson. Bookmark the permalink.